"They'll let their 10-year-olds read The Hunger Games," she said Saturday. "But not this." This being In Our Mothers' House, a beautifully written and illustrated story about a big brown house on Woolsey Street where Meema and Marmee raise their three children. Meema and Marmee are women; their children were adopted. Meema's Italian grandparents are frequent visitors and the family lives in an integrated neighborhood where communal treehouses are built and street fairs organized. This book, though, has been pulled from the library shelves of a Davis County elementary school after a few parents complained. A school district panel deemed it out of alignment with curriculum standards and ordered it put "behind the counter." Apparently, like one character in the book, some parents don't understand that a home with two moms or dads can be just as loving, safe and nurturing as those with more traditional parents. I'm baffled, though, by a Davis School District spokesman who said state law says schools "can't have anything in the curriculum that advocates homosexuality." Where to start? 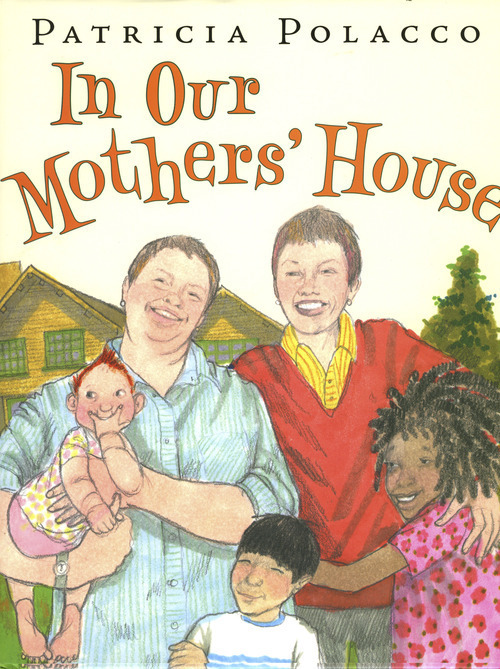 Nothing in In Our Mothers' House advocates anything but love of family, friends and community. Nor is a school library book considered curriculum; the only criterion is that it's age appropriate for the child who's borrowing it. As for a library itself, it's a place of wonder where kids and their parents find books and other materials that might open dazzling doors to new worlds. Plus, it's free. In Patricia Polacco's book, one neighbor, Mrs. Lockner, clearly disapproves of Meema and Marmee and won't let her kids play with theirs. At one point, she marches up to the couple, her fretful sons in tow, and snarls, "I don't appreciate what you two are!" Meema and Marmee comfort their own children as all the other neighbors come close. "She's full of fear, sweetie," Meema says. "She's afraid of what she can't understand: She doesn't understand us." As in life, the children grow up and their mothers grow old. They pass within a year of each other, and the kids place them "where they pledged their love to each other so many years ago." The big house stays in the family, and "the walls still whisper our mothers' names." Our world is moving inexorably toward inclusion of those different from "us," whoever that is. We saw it Sunday when hundreds of Mormons marched in the Pride Parade. One day, we'll see it everywhere. For now, we see it in a lovely, loving book that deserves a place on any school library shelf. Peg McEntee is a news columnist. 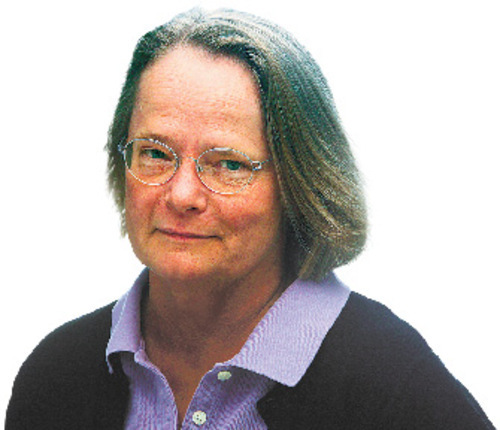 Reach her at pegmcentee@sltrib.com, facebook.com/pegmcentee and Twitter, @Peg McEntee.